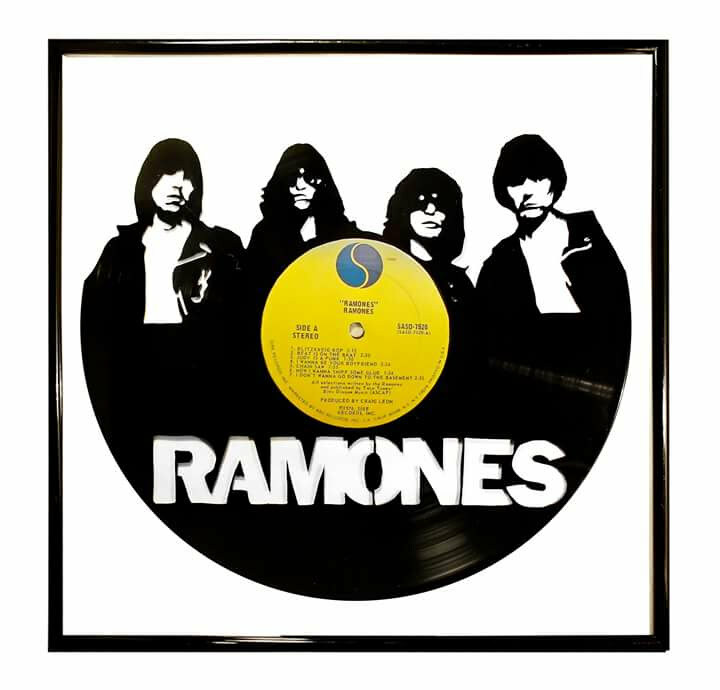 Ramones art on vinyl portraitcut out from an old record. Handmade work with printed label from original Ramones album. Label can be changed for any other of the bands record. Glass window frame ready to hang on the wall. The perfect present !